How high is a simple energetic and fun activity that teaches proper throwing and catching techniques. Divide your players into 2 even groups. The groups line up approximately 2 metres apart and facing each other. Each pair has a ball. Each line chooses a team name. Call the name of one of the teams. 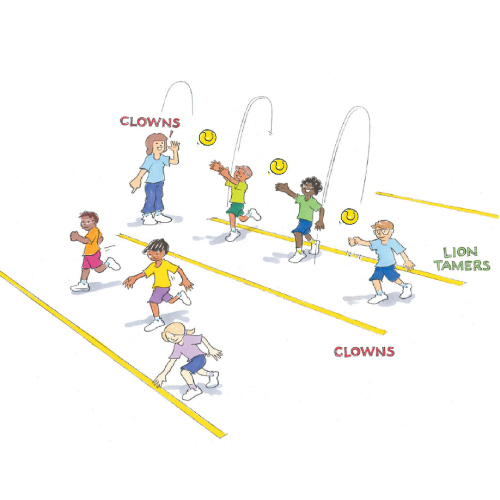 The members of that team throw their ball straight up in the air as high as possible and then run to their designated line. Each player’s partner tries to catch the ball before their partner reaches the line. 1 point is scored each time a player makes it to the line before their partner catches the ball. As a catcher what did you need to do to catch the ball before your partner reached the line?